Does your jewelry come from natural Moissanite? How does moissanite compare to diamonds and cubic zirconias? What size moissanite stones compare to a specific equivalent diamond carat weight? The "Three C's: cut, color and clarity that apply to diamonds, are they the same for moissanite? How can I be assured of the quality of moissanite? How should I clean and care for my moissanite jewelry? Can you set moissanite in one of my rings if I send it to you? Moissanite is a naturally occurring mineral, silicone carbide. 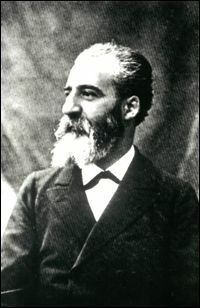 Moissanite is named for Nobel Prize winner Dr. Henri Moissan. In 1893, Dr. Moissan discovered hard, diamond-like deposits in a 50,000 year old meteor found in Diablo Canyon, Arizona. The mineral he found is silicon carbide. In 1905 this compound was named Moissanite in his honor. Naturally occurring moissanite is extremely rare and found only in microscopic crystals that are too small to use in jewelry. Our moissanite jewelry is created by Charles & Colvard, the sole producer of moissanite in the world. Charles & Colvard is a publicly listed company on NASDAQ [CTHR] Each moissanite jewel is grown in the laboratory from a moissanite seed crystal. It takes months from start to finish to grow a single jewel. Created diamonds are grown by a similar process. Moissanite has more brillliance, fire and luster than diamonds and cubic zirconias. The only jewel harder than moissanite is diamond. Moissanite will never fade, cloud, change color nor look different from the day you purchased it. Moissanite is at 9.25 on the hardness scale. Diamond is 10. Note: For the list of corresponding carat weights to mm sizes for other moissanite stone shapes, please visit our loose moissanite stones page. In some cases yes, and some no. The cutting for any given shape of moissanite is done in slightly different proportions than those for a diamond. Each Moissanite jewel is hand cut to specifications that maximize the appearance and beauty of Moissanite. This special hand-cut faceting gives each Moissanite jewel an unbelievable brilliance and fire. The color of Moissanite compares to diamonds of I-J color. The clarity of Moissanite is clean to the eye and can be generally compared to a VS1 diamond. It's very important to note, each Moissanite jewel is unique and no two are identical. Some of our moissanite competitors claim that they offer the "whitest moissanite" - but this claim is impossible to support without 3rd-party certification. Since no labs will grade moissanite, these claims remain in the realm of marketing! If moissanite grows in popularity, perhaps the gem labs will begin offering certificates. The "ships in time" refers to the manufacturing and handling time that our factories require to prepare the jewelry. Then add 5-7 business days for Standard Shipping, 2 days for 2nd-day air, and 1 day for next business day delivery. To ensure the highest quality, all created moissanite jewels are evaluated to exacting standards by specially trained gemologists, quality control personnel, and automated video imaging equipment. Your moissanite is warranted for a lifetime against any manufacturing defects. In the unlikely event that there is ever a problem with the optical qualities of the Moissanite jewel, simply return the jewelry and Joy Jewelers will either (at our option) repair or replace the jewel at no charge. Chipped or broken stones are excluded from the warranty. All Charles & Colvard created moissanite jewels come with the following 'Certificate of Authenticity and Limited Lifetime Warranty' card. Your moissanite jewelry requires the same care and handling as any other jewel. Just like fine diamonds, clean with steam, solution or ultrasonic cleaners. Avoid cleaning with harsh chemicals. We recommend that you purchase a loose moissanite stone and work with a local jeweler for setting. As a rule, we do not set moissanite in rings provided by customers.